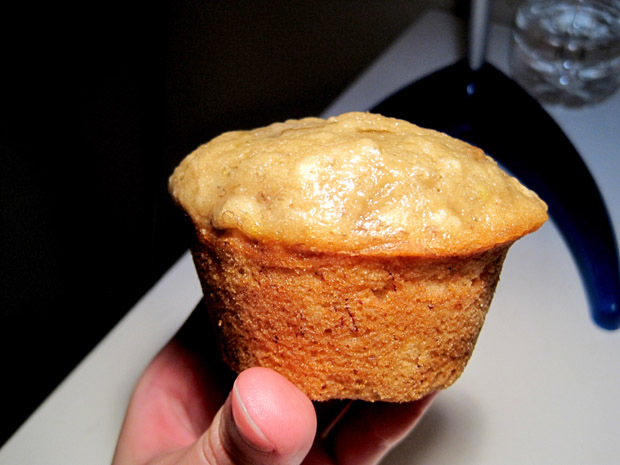 These bourbon banana muffins might not be lookers but they definitely pack a powerful punch. You wouldn’t think to combine bananas and bourbon but I personally would find any excuse to sneak alcohol in my desserts. 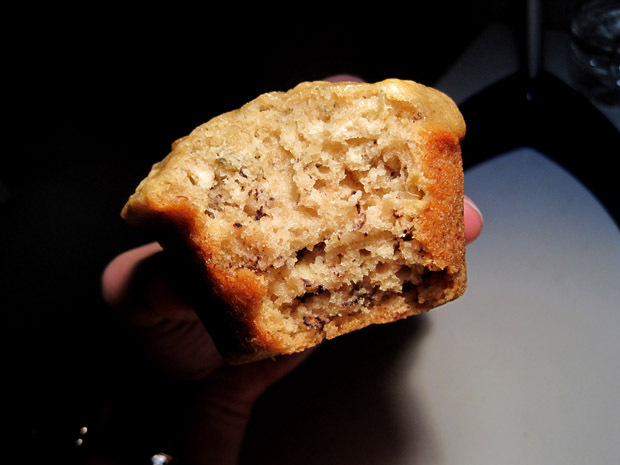 The muffins are very moist and flavorful, and have a great texture. You can’t just stop at one. Preheat the oven to 350 F and grease 12 muffin tins. In a mixing bowl, using an electric mixer, beat the oil, sugar and vanilla until well mixed. Add the egg and beat until light, then reduce mixer speed and beat in the mashed banana and bourbon. By hand, stir in the flour mixture and the water just until mixed. Pour the batter into the muffin tins and bake for 20 minutes. If you like, sprinkle nuts and chocolate chips down the center of the loaf before baking. Let cool for about 5 minutes, then carefully remove from the pan.